Show car FRONT Brake Caliper Covers. 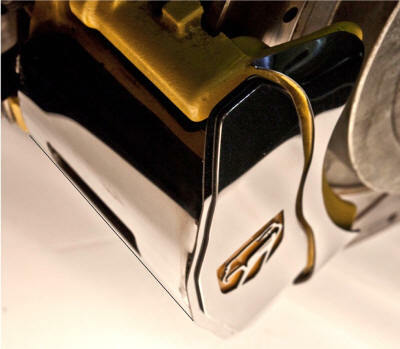 Made of High polished stainless steel. They will not rust or corrode. 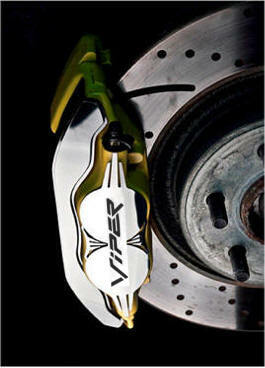 Show car REAR Brake Caliper Covers for 2001-2002 Vipers only. Made of High polished stainless steel. Has cut out emblem in center. They will not rust or corrode. Set of 2 Rear right and rear left. 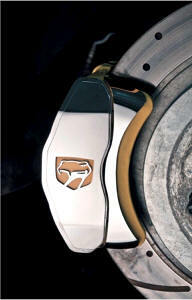 *NOTE: This particular caliper was painted yellow. Stock calipers are black or red.